Welcome to December! We're enjoying some wonderful "winter weather" here in south Florida, the best time of the year! I hope you are enjoying the advent of winter, too. Let's celebrate a fun month by entering some giveaways! Check this page each day to see what new prizes have been added to the linky below, as well as to my right sidebar. 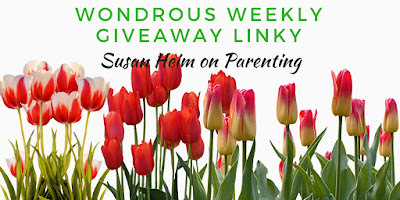 And if you're hosting a giveaway on your blog or website, feel free to share it in the linky. Feel free to post this page on your social media accounts, too.